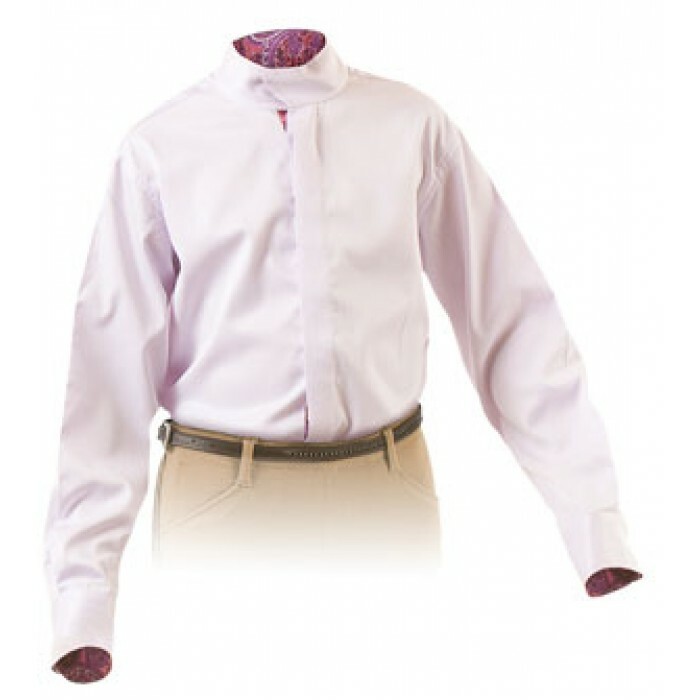 Coolmax show shirt in moisture wicking fabric, hidden snap neck closure replaces the traditional choker and eliminates lost chokers. 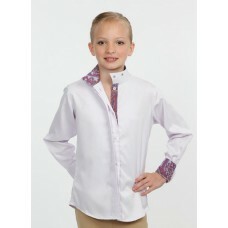 Shirt features subtle textures with complimenting lining hidden under placket, inside collar and cuffs. 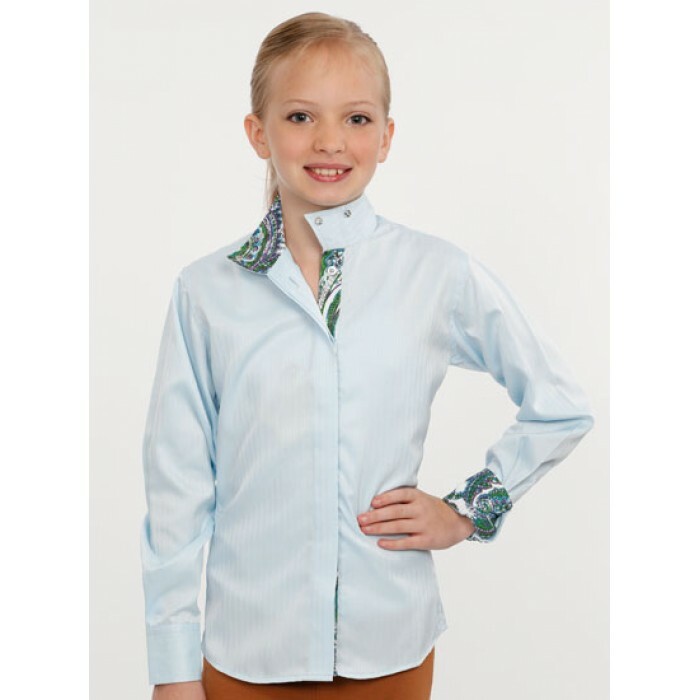 Easy care Herringbone fabric, machine washable and needs very light ironing.